The Indianapolis Public Schools provides students with the latest 21st century, cutting edge technology tools for academic excellence. Students have access to technology in the classroom, computer labs and media centers. 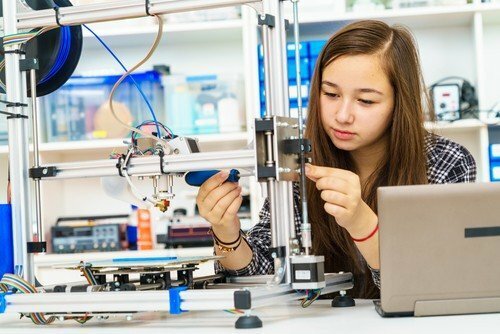 Technology in education enhances the learning experience, allowing students to be self-directed and teachers to personalize lessons to the needs of each unique child. Whether used individually or in small group learning, our students have access to valuable tools and information that makes learning more engaging and effective. Later this year, our parents will have the ability to access student lesson plans, communicate with teachers, track student progress and so much more through technology. In order to access the technology and tools, parents must have valid email addresses.